I’ve been podcasting for over five years and have had the joy of creating several shows. My newest and latest podcast features interviews with people chasing their dreams and doing what they love. 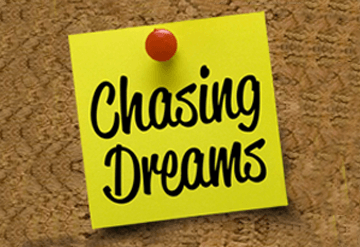 Inspirational, motivational, and educational, the Chasing Dreams podcast reached #1 on New and Noteworthy in Personal Journals on iTunes. 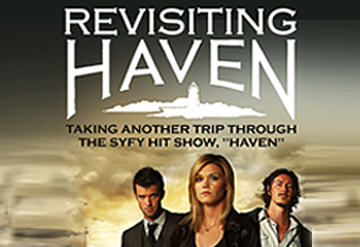 The hit Syfy show, Haven, wraps its 5-season, 78 episode run in December 2015. While the show aired, I co-hosted a podcast about the show which featured episode recap analyses as well as interviews with the cast and crew of the show. The Revisiting Haven podcast brought me some of my favorite life memories when, because of it, I was able to visit the set of the show in Nova Scotia, Canada. This show and podcast holds a special place in my heart. My very first foray into podcasting was random, but memorable. I had a great time sharing my experiences with the world including my first Comic Con experience in New York, and discussing entertainment subjects such as the Academy Awards, and movie releases with guests. It was through Aimee J. Live! that the idea of Chasing Dreams began to form. I wanted to use my show to talk to people who were doing things they enjoyed and find out their stories. It was a natural step to take those stories and make them into their own show. 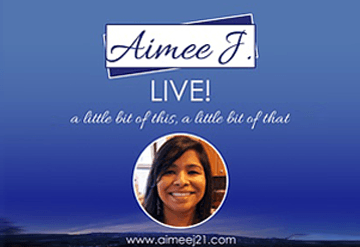 Today, Aimee J. Live! is no longer live, but it will always be my first.